Is staging really necessary in this market? Yes. The answer is always yes. Often times with a shift in the market is when realtors and homeowners question the added value of staging. In a both a buyer’s market or seller’s market staging works. In a buyer’s market, the number of properties for sale is up, but the demand or number of potential buyers is low. Selling a home in a buyer’s market usually results in properties being on the market longer and slight drops in listing prices. Home staging has been proven to reduce the number of days a home is on the market and adds value to a home increasing the offer price. Home staging can set your listing apart from the other homes for sale as multiple properties on your street or in your neighborhood may be listed. In a buyer’s market, buyers are looking for a deal, anticipating price drops, and expecting homes to be priced lower than in a seller’s market. Buyers have an advantage in this market with the option of multiple properties to consider. As a seller in a buyer’s market you definitely need to stage in order to be competitive and have a quicker sale. Staging can help add value, avoid longer time on the market, and avoid a drop in listing price. A staged home sets you apart from the influx of inventory and ‘for sale’ signs on your street. In a seller’s market, the number of properties for sale is down, but the demand and number of buyers is up. Seller’s have an advantage in this market and may be skeptical about spending money on staging. Staging a home in this market can increase the perceived value leading to offers higher than the listing price. Since the supply is low, a beautifully staged home is a competitive advantage. Sellers are able to drive up the price even more through appealing home staging. Buyers are experiencing a competitive market paying higher prices, spending more than expected, and homes have multiple offers. As a seller, use staging in this market to your advantage. 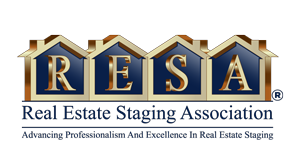 Don’t skip staging, be sure to receive top dollar. The real estate market changes but home staging remains to be a great return on investment. Staging adds value to homes no matter the market. As home buying trends change due to demand, home inventory, politics, interest rates, and waves of changes in consumer confidence, home staging continues to add value to properties. To stage, or not to stage? It is never a question —STAGE. Newer PostYou have hired a stager, so what is next?